Anyone who was born before 1970 will remember watching the Sunday evening television series, Mutual of Omaha’s Wild Kingdom. The show took viewers to every corner of the world, and offered a glimpse into the lives of wild animals in their natural habitats. Formerly hosted by Marlin Perkins, and later by his assistant Jim Fowler, the duo would go out into the wild to promote the importance of wildlife and the ecosystem. The show originally aired from 1962 to 1971. 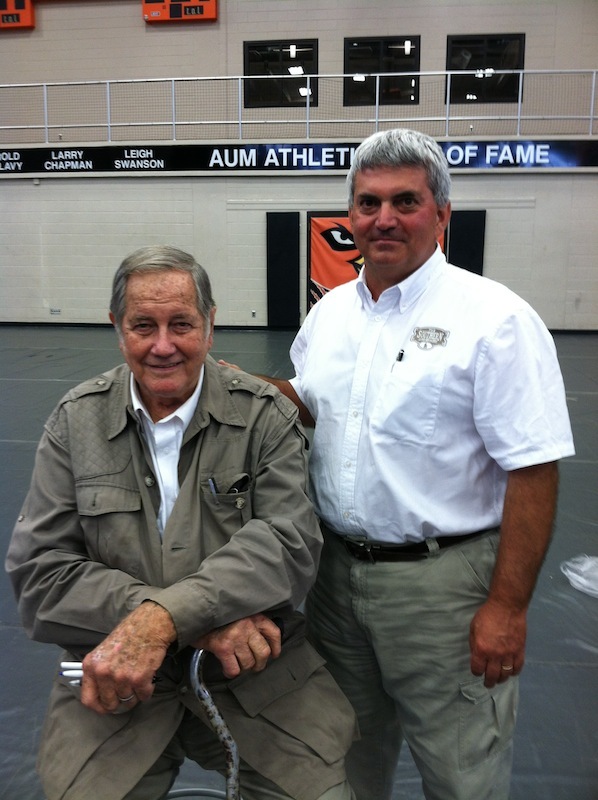 On August 23, Jim Fowler traveled to Auburn University at Montgomery, and gave a presentation to entertain and discuss wildlife issues impacting the world today. David Harrell had the privilege to meet and talk with Fowler about his accomplishments and how landowners today can incorporate their interest in wildlife with land ownership. Fowler mentioned that he was happy with the interest he was seeing with landowners and their cooperation with wildlife throughout the country. He also said he enjoys working with landowners to help them understand the importance of wildlife conservation. The Southern Land Brokers was honored to meet Fowler and to have such a great conversation with him.